Before you scroll directly down to the comments section and type some variation of “what are gloves? I’ve never used them” or “toughen up, your hands are the best glove” know that I’m right there with you. Working as a carpenter, I thought there was nothing better - in terms of practicality and efficiency - than using my own mitts. And, until about a year ago, handling sheet metal and working on a fishing boat in the Bering Sea were the only real reasons a person would wear gloves. But after putting a nail clean through the space between my index and thumb, I decided 1) that sucked and 2) I would like to prevent that from ever happening again - and have been wearing gloves ever since. The perfect glove for construction and the perfect pair for the green industry may be similar but they do have their differences. Differences that depend on the type of work you’re doing day in and day out. That said, researching this list, we not only looked for quality (i.e. the best), but also wanted to compile a versatile list of options. 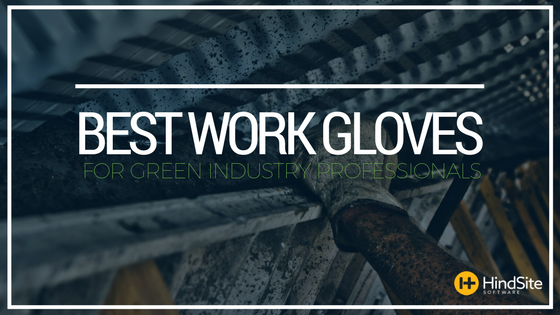 So here are the best work gloves for green industry professionals. The glove’s lightweight and adaptive nylon knit makes for a seamless fit. With the price of a disposable pair and the toughness of it’s nitrile coating, it’s a durable glove that protects your hands without shelling-out too much. I personally have used these gloves demoing houses and can say they kept my hand from getting a chunk taken out a time or two. Their lifespan is longer than expected yet will dwindle the more abrasive jobs you do. 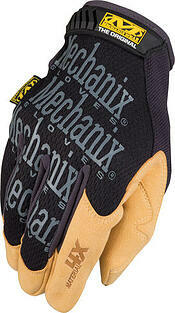 When it comes to gloves, Mechanix has options for days. But their basic, Material4X Original, is a glove with almost all the features a green industry professional would ever need and a price-tag that won’t shorten your breathing. Seamless form-fitting material offers superior tear resistance and a comfortable, cool feel. It’s almost as if they were made as a pair of batting gloves for a guy who crowds the plate. 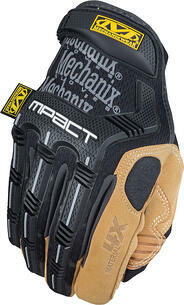 It’s probably safe to say this Mechanix glove is superfluous for 90-99% of green industry professionals. But for those who loathe their obnoxiously jarring, outdated walk behind this glove has the palm padding to absorb pretty much any vibration it can deal out. Of course, all these features are reflected in its sticker-price. I know a guy who’s a hobby carpenter and handyman, that usually only buys the best of the best equipment, including gloves. But one day he was in Home Depot grabbing a few things and remembered his expensive gloves were shot. So, he ends up picking up a pair of Firm Grip General Purpose gloves. Long story short, it’s the only glove he buys now. Says they just keep going and going. And at 10 bones that’s a hell of a deal. 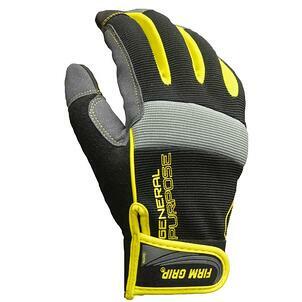 Its functionality and structure is relatively similar to Mechanix’s Original. 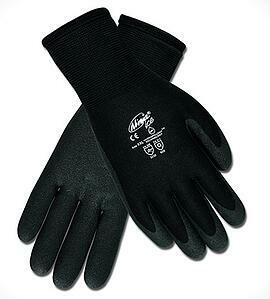 The Heavy Utility is the most popular glove Ironclad makes. It’s Terry Cloth Sweat Wipe, is one of the more unique features a work glove can offer. 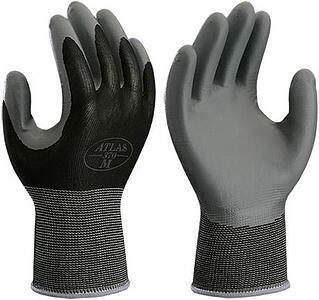 It’s also praised as a long-wearing glove with DuracldⓇ Reinforcements that’s 8X more durable than normal synthetic leather. But there’s always some person, posting on some message board, who will say they had a pair that didn’t even last them a day. So take it for what it’s worth. Finding a work glove that holds up as the temp drops is almost as agonizing as using your bare hands in subzero weather. That is, until now. The two-layer insulated liner will keep your hands balmy without sacrificing feel, grip, or dexterity. Because warm hands aren’t any good if they’re permanently cupped in the position of a beauty queen’s parade wave. 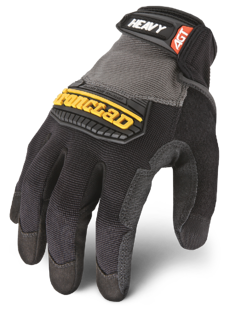 From handling retaining wall blocks to running a trimmer for an entire day to mulching a commercial property to using a walk behind, we hope one of these gloves can help you get the job done.